Ohio Universitys Institute for International Journalism (IIJ) in the E.W. 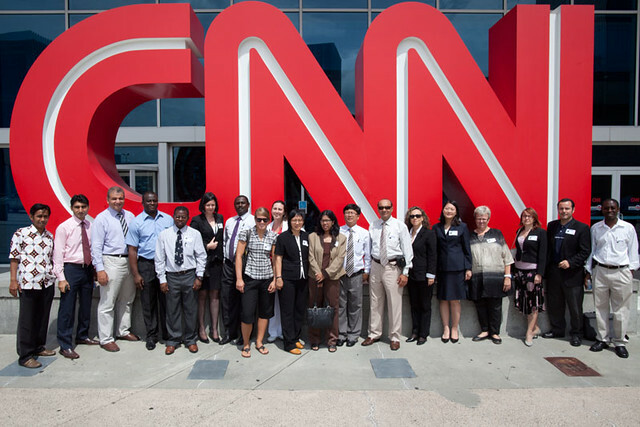 Scripps School of Journalism is hosting the fifth Study of the U.S. Institute (SUSI) on Journalism and Media program in June 2014. Gifted journalism and media scholars from 18 different countries will participate in the program. Those countries include: Tunisia, Chile, Costa Rica, Burma, India, Russia, Zambia, Malawi, Kuwait, Sudan, Hong Kong, Finland, Sri Lanka, Australia, Romania, Kyrgyzstan, Lebanon, Philippines. The Study of the U.S. Institute on Journalism and Media is an annual summer institute for international journalism scholars and media experts from universities and academic institutions around the world. The SUSI summer institute is funded by an annual renewable grant from the U.S. Department of State’s Study of the U.S. Branch in the Office of Academic Exchange Programs. In 2013, the IIJ welcomed a diverse and talented group of SUSI scholars from 18 countries: China, Columbia, Czech Republic, Egypt, Estonia, India, Indonesia, Kenya, Malaysia, Nepal, Nigeria, Pakistan, Poland, Sudan, Turkey, Ukraine, Vietnam and Yemen. The first SUSI program, hosted in 2010, featured a group of wonderful scholars from 17 countries: Austria, Bahrain, Bangladesh, Ecuador, Finland, India, Indonesia, Jamaica, Macedonia, Mexico, Nepal, Nigeria, Rwanda, Thailand, Vietnam, West Bank and Zambia. The first academic program, which ran from June 30 through August 12, 2010, covered different facets of journalism and media institutions in the U.S. and primarily focused on the following themes: U.S. media, ethics and society; legal frameworks for media freedoms; roles and responsibilities of journalism and democracy; media and mass communication research, and changing media business models in an era of technological change. We invite you to explore all the various highlights of the 2010 and 2011 summer institutes on this SUSI main page and other IIJ websites, including the IIJ Blog, and IIJ twitter. You can contact one of our SUSI academic or administrative directors and staff listed on this page. To learn more about other Ohio University’s international journalism programs and media research initiatives, please contact the director of the Institute for International Journalism, Dr. Yusuf Kalyango.